Arrive at 5:30 to sign up for Open Mic readings. 1st come, 1st served – Reading time approximately 5 min. 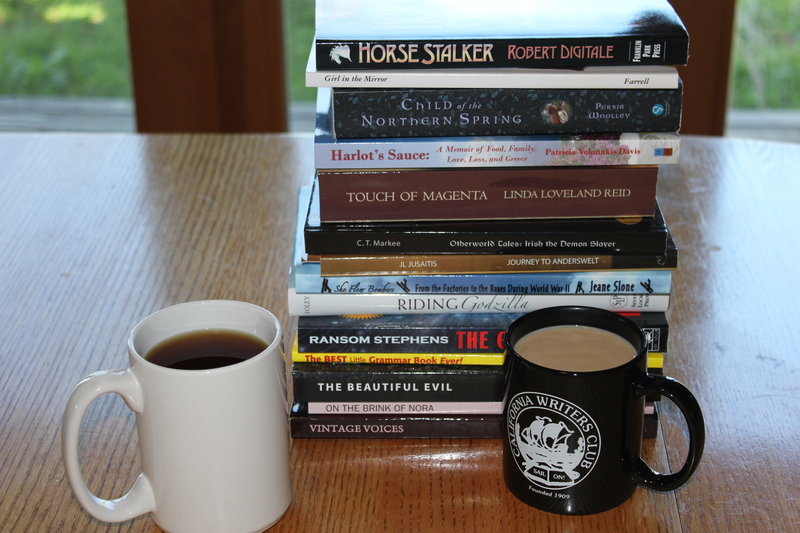 Join us for camaraderie, coffee, & literary delights. Each month features special featured readers, after which there will be intermission & open-mic. Come & read your work to a supportive audience. Enjoy Redwood Writers’ new sound system. The first SOCO event drew over 50 people. Please support the venue with the purchase of a beverage or snack. Don’t miss this wonderful event! This entry was posted in authors, California Writers Club, dining, great stories, Kids' stories, poets, Sonoma County, Writers, writing and tagged writers. Bookmark the permalink. Really enjoyed the Odd Month Reading at the Cloverdale Library last Saturday. You were a great hostess, Robin. I plan to be there on the 24th at SoCo and hope lots of folks join us. Thanks, Arletta! It was fun listening to your “spring” writing. Will you repeat it at SoCo? Wow, this sounds cool. Maybe something like it over here. I’ll Google it. Neat stuff. Thanks, Lisa! Yes, look for a writers group or club in your area. They can be SO supportive! If you write for kids, look into SCBWI–they’re national w/ branches in (I think) every state.